Every Friday in the run up to Christmas I am choosing my top picks, in a series of gift guides. I hope these guides will inspire you in your holiday shopping. There are lots of present ideas, new brands and finds, as well as some of my favourite online shops. Each Friday I will update the guide with a new selection. If you are time short, or just too tired to look for gifts, this is the list for you. This year I am trying to buy less and choose gifts which I think will be enjoyed time and time again. I am also consciously avoiding plastic (as much as possible) to be a little more gentle to our planet. There might be less gifts, but they’ll be good ones. With a new baby in our house it really makes this time of year all the more special. We are all excited to get baby George involved in all our holiday activities. He is already transfixed by all the decorative lights around the house. So, if you have a new baby, or god child, or nephew or niece, grandchild etc… this is the list for you. This lovely soft little comforter is the perfect snuggle toy for the holidays. It’s part of a lovely series of polar bear designs at the Little White Company this season. I bought the lovely polar bear sleeping bag for baby George too. 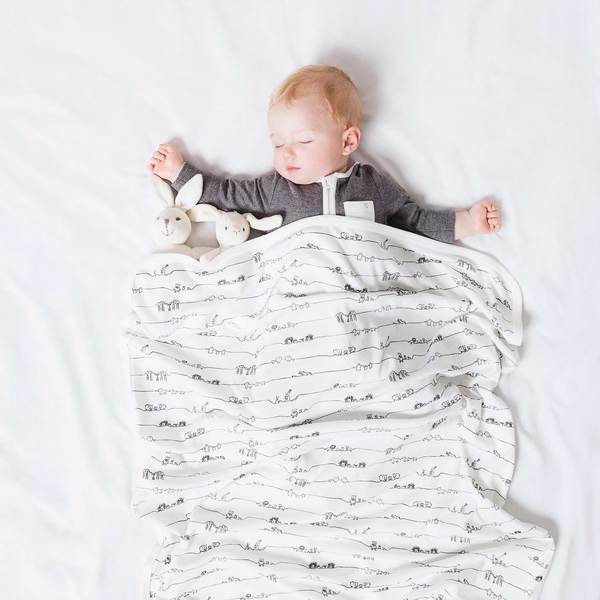 I love the design of this limited edition blanket from Baby Mori. They have collaborated with design university Central Saint Martins UAL to create a new print called the Animal Family. The designed was created by the talented Lucy Clarke and chosen by Vogue Deputy Editor Sarah Harris and Fashion Blogger Susie Lau, the print represents different and unique families. Perfect for cosy cuddles this holidays. 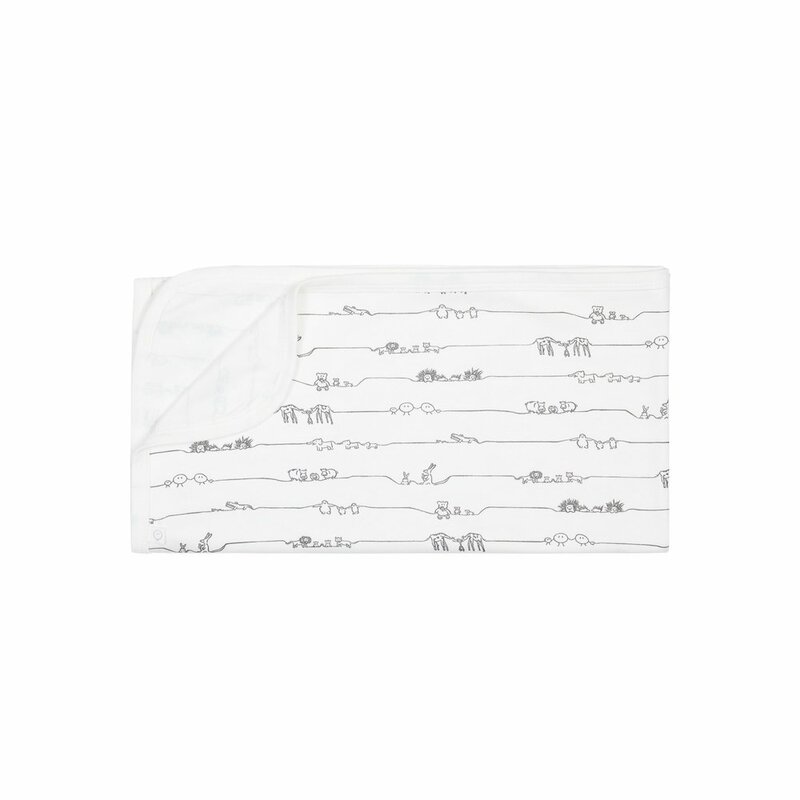 I am a huge fan of aden + anais muslins, they are super soft, beautifully made and last amazingly well. I am still using the one’s I bought for my daughter over 4 years ago! They are made from 100% cotton muslin too. This gold deco design is my favourite one for this time of year: it would make the best gift for any baby this holidays. Trotters little pom pom boots for babies are the perfect for keeping little toes warm and chic at the same time. My son has just discovered his feet and spends a lot of time trying to grab them! So I know he’ll love wearing and playing with these. I’m cutting back on plastic as much as I can, making sensible swaps in our home for more sustainable presents. I love this wooden baby gym for: something to keep George busy over the holidays! Baby aveeno has become one of my new favourite baby care brands. As the weather gets colder was are using their hydrating moisturisers and daily lotions to keep George’s skin soft. I have been using some of my hands too! A bundle of their products would be the loveliest gift this holidays. This week we did a giveaway with the extremely talented Sue Hill. Sue makes the most beautiful knitwear and my favourite design is the bumble bee collection. I love this adorable hat and mittens set. The Nursery Window is surely one of the most special baby boutiques in London, it is full of stunning nursery pieces and baby wear. 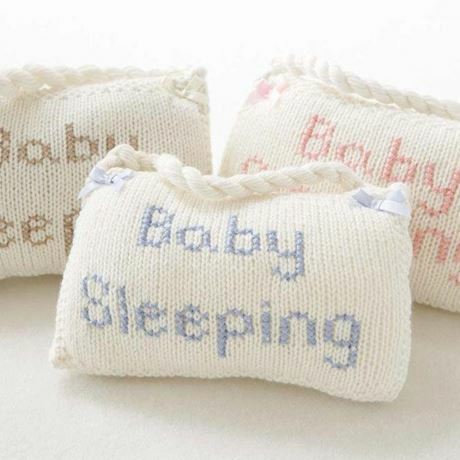 One of my favourite gift ideas is their cashmere blend baby sleeping sign, to hang on the door, or in the room of your little one. 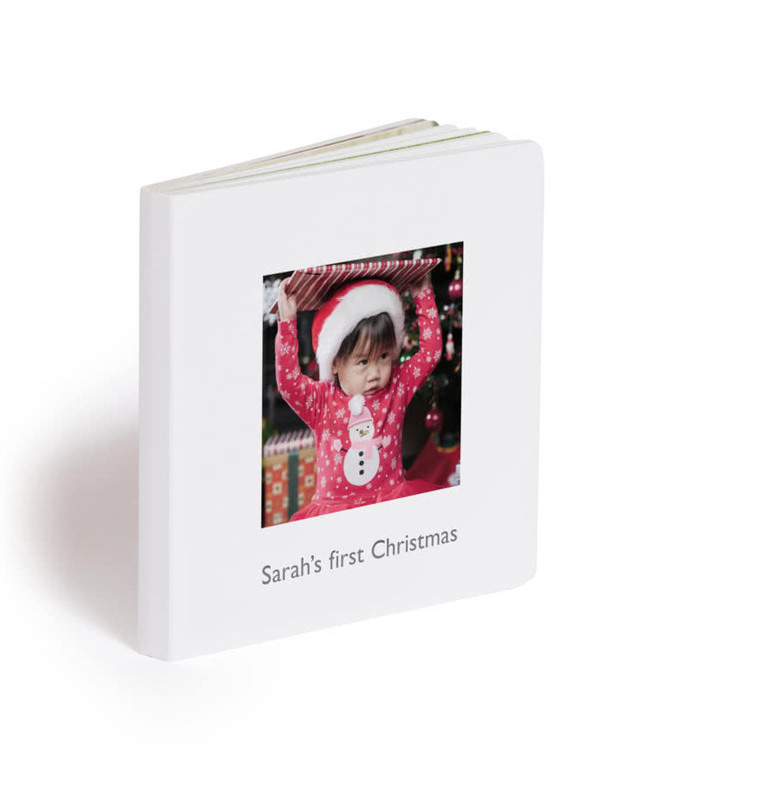 One of the most special ways to commemorate your babies first holiday’s is with Photobox’s first photo book. You can create a book of memories and milestones from the first year, something to always enjoy and treasure.